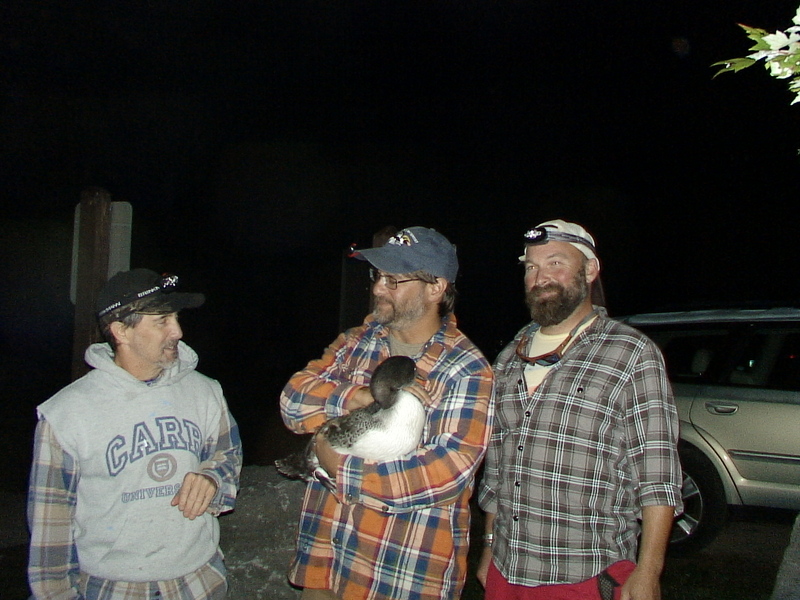 These are the pictures from the banding of the Blue Lake chick last Sunday AM. This youngster’s father has a hook in his bill, and attempts to capture and treat it have so far all been unsuccessful. For future reference, this chick wears a silver USFWS band on its left leg, and a 003 red band on the right. 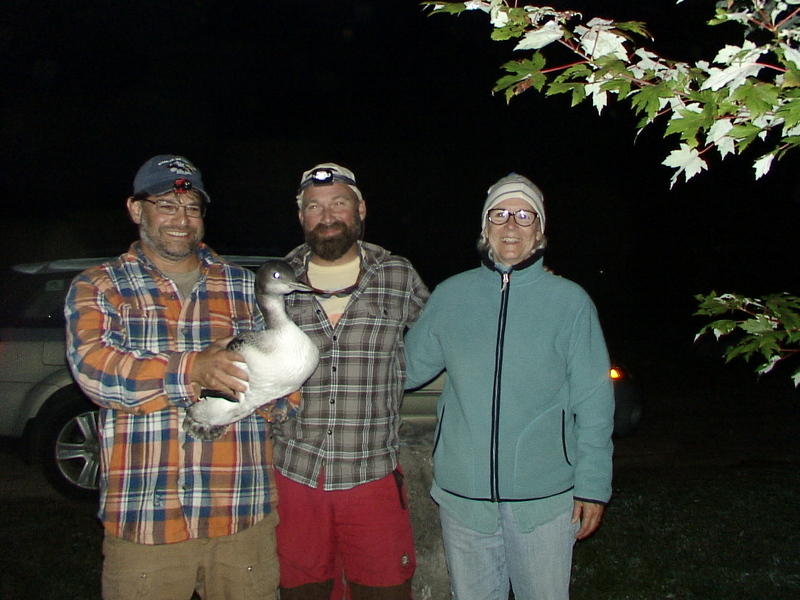 Pictured from left to right are: Joe, Brad, and Peg. 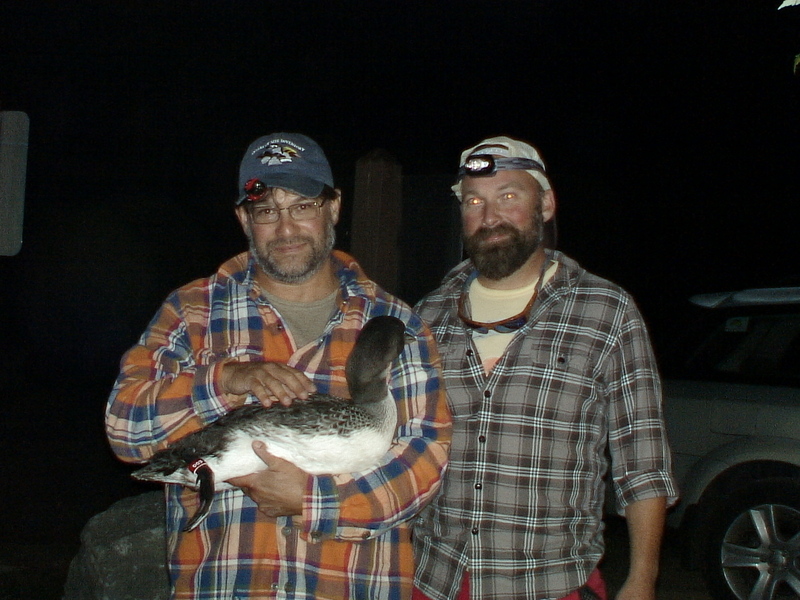 Posted by Jeff Lange on August 24, 2015 in Loon Rescues, Uncategorized and tagged Blue Lake, Common Coast, Joe Kaplan, Loon Banding, Loons. can you get back to the horrible shape that Oneal Lake is still in, and the danger it poses to the loon? The danger has already been fully presented. I, in fact, strongly urged O’Neal residents to form a lake association, get together and do something about their dam back in 2009, five years before the dam finally gave out.